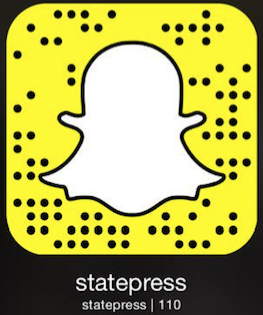 Welcome to the fifth installment of The State Press Politics Roundup, where we bring you the week's coverage of on-campus and local politics. This week, reporters spoke with high school students who marched on the Capitol grounds demanding that legislators consider bills to address gun reform and school safety measures. They also delved into a lawsuit filed by a professor who alleges he was not allowed to speak on campus because his views violated a 2016 state law. University President Michael Crow released his 2019 tuition proposal Friday, which will not increase tuition for in-state undergraduate students. The proposal aligns with others drafted by Northern Arizona University and University of Arizona that also do not call for a tuition increase. However, out-of-state tuition will increase by 3.5 percent or $934, and non-resident graduate students will also see tuition rise 3.5 percent or $1,022. The proposals will not take effect until the Arizona Board of Regents votes on them April 5. A complaint has been filed against the Associated Students of ASU Council of Presidents, alleging the Council has continued to not post meeting minutes in a timely way. The complaint criticizes their inaction, which was a violation of its constitutional bylaws, and argues that it is an issue of transparency. The complaint was drafted by former USGD Vice President of Policy Ryan Boyd and signed by USGD Senator Yasmin Alvarado Wednesday night. USGT President Brittany Benedict said it was a mistake and that she and the council are taking steps to prevent this problem in the future. COP agendas will now be posted 24 hours before each meeting and minutes will be posted 24 hours after each meeting, complying to the complaint’s demands. USG Tempe has cancelled “Project Condom,” a sexual health “fashion show extravaganza” that was scheduled for Thursday. Organizers caved into negative attention surrounding the event which pressured them to cancellation. A press release was sent to The State Press detailing their reasoning. “With the nature of this event including students putting forth their creative work, we recognize that this may make them vulnerable to the same negative attention that was so critical of our organization,” the press release read. USG elections have officially begun and the candidates have been named. Candidates will campaign until their election day on March 27 or 28. Read more here. Hear a recap of the week’s top stories, presented by State Press reporter Austin Westfall. Listen to the semester's first installment here. ASU, the Arizona Board of Regents and Attorney General Mark Brnovich are being sued by University of California Berkeley Islamic law and theology professor Hatem Bazian for alleged violation of free speech rights. Graphic published on Wednesday, March 14, 2018. ASU professor Hatem Bazian is suing the University, the Arizona Board of Regents and Arizona Attorney General Mark Brnovich for allegedly not allowing him to speak on campus. Bazian's suit challenges a 2016 state statute that he claims violates his First Amendment rights. Read more here. ASU political science sophomore and member of ASU Young Democrats David Huff poses for a photo at the state capitol in Phoenix, Arizona, on Wednesday, March 14, 2018. High school students from around the Valley rallied at the state Capitol Wednesday advocating for gun reform and school safety measures. Members of ASU's Young Democrats joined the students to show solidarity during the day of action, which was filled with lobbying lawmakers and public demonstrations. Read more here. The Al Ghurair Foundation for Education (AGFE) has partnered with the University to provide two types of scholarships to Arab students pursuing a STEM graduate degree. One of the scholarships can be offered online to those who can't relocate for school, giving them access to 28 different STEM programs. Read more here. A promotional image featuring an illustration of the Domi Care test kit. Two ASU students have developed a self-administered Pap smear test to make the procedure more convenient and less anxiety inducing. The two said the product was inspired by the debate on women's reproductive rights and it aims to provide quality and affordability to those who might not be able to afford the procedure. Read more here.